April 20, 2016 - Worried About Outliving Your Money? 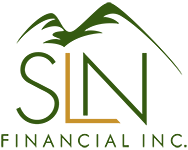 You're Not Alone | SLN Financial, Inc. If you’re still working, do everything you can to sock away as much money in retirement accounts as you can. If you’re facing retirement with a nest egg that’s not large enough, delaying retirement can allow you to save more while giving your investments more time to pursue growth. Social Security is the backbone of most Americans’ retirement strategies. On average, Americans get 34% of their income in retirement from Social Security, so getting the most out of this important benefit is critical. Though everyone’s situation is different, it’s generally considered prudent to delay claiming Social Security to increase your monthly benefit. If you or your spouse expect to live to at least age 80, delaying to accrue additional retirement credits can add thousands of dollars to your lifetime household income. However, if you have health concerns that might shorten your lifespan, claiming benefits sooner might be a better option. A professional can help you run the numbers on your personal situation and develop the best claiming strategy. There are a lot of uncertainties in the retirement landscape and the flexibility to adapt to changing circumstances is critical to making your money last as long as you need it. If you face a period of reduced or negative investment returns, downsizing your lifestyle or relying on other sources of income can help give your portfolio time to recover and reduce the risk of depleting it too quickly. Retirees who are looking for income in retirement can also turn to investments like annuities that produce a lifetime stream of income guaranteed by an insurance company. The details of your personal situation matter a lot and a professional can help you identify problems and pitfalls before they derail your retirement. One of the best things that a financial professional brings to the table is a sophisticated suite of tools to help you model different scenarios and rigorously test your retirement assumptions. If you have questions about retirement or worry about running out of money, please give us a call. As professionals, we have helped many clients and friends evaluate options and find answers to their questions together.